1. Generously season the filets with salt and pepper. Set out two shallow bowls. Mix the beaten eggs with the milk in one bowl and put the cornmeal in the other. Dip the filets first in the eggy milk, then dredge in the cornmeal. 2. Heat 3 inches of canola oil in a heavy-bottomed skillet over medium-high heat to 350˚ on a candy thermometer. 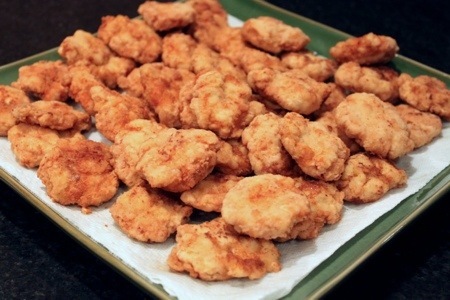 In batches, gently slide the filets into the oil and fry for 6 minutes. Turn the pieces over with a slotted spoon and cook an additional 4 minutes. Drain on paper towels and season well. Excerpted from My Family Table: A Passionate Plea for Home Cooking by John Besh/Andrews McMeel Publishing. August 19th is national Aviation Day in the United States. 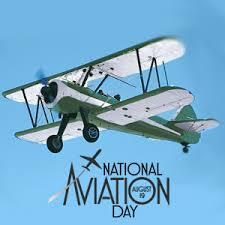 This day celebrates the development of aviation and was created in 1939 by Franklin Roosevelt. August 19th is also Orville Wright's birthday. Orville was born August 19th , 1871. This updated version of the candy recipe of yesteryear would be great to make today or anytime you are looking to have a flying good time. Place rubber band between two gummy Lifesavers and keep your fingers in the rubber bands during the next steps. It makes it easier to put the plane together. Fit the Smartie between the two Lifesavers "wheels." Then loop one side of the rubber band over the Hersey bar (keep your one finger/thumb in the other side of the rubber band so to hold it in place). Then loop the other side around the chocolate bar. This is what it looks like from the underneath side of the plane. In the past 100 years the average life expectancy has increased by nearly 30 years in the United States. In fact most developed countries of the world are catching up to this ratio very quickly. Individuals born now can expect to live to see up to eight or more decades in their lives. 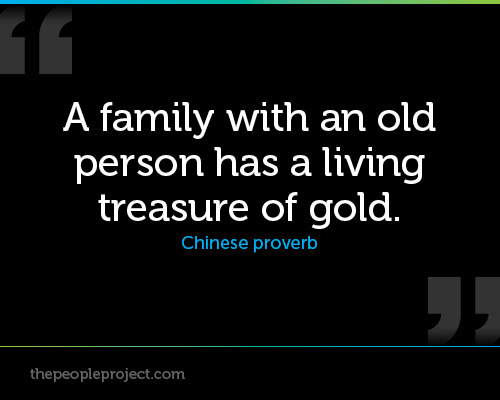 This fact changes society in that adults 60 or older is growing rapidly in our population. So a new question arises: what should we do with those extra 20 to 30 years of life?? The well being and opportunities for seniors should not run out just because society population is getting older. Should the young generation strive to make plans for the future years?? The issue is that society often forgets about the population that finds itself enjoying longer life span. So politics evoke thoughts of the cost of the population getting older, how will this harm the current system. Assemble the salad with slices of tomatoes, basil leaves, and mozzarella slices. Drizzle extra virgin olive oil over the salad. Then add a dash of vinegar and salt and pepper to taste. Layer first five ingredient in a one pint Mason jar. Combine remaining ingredients and seal inside a snack size zipper bag. Add bag to the top of bean layers. 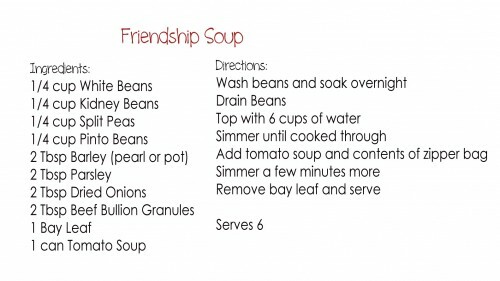 Combine all ingredients in a large bowl and use a hand blender to combine ingredients, about one minute. Just be sure to whisk away any clumps of milk powder that form in the mix. You can also use a blender. Cover and reserve in the fridge until you’re ready to churn. It’s important to keep the ice cream base really cold. Carefully transfer your dry ice to a clean tea towel or apron and wrap it up completely. Wear gloves when handling the dry ice as it is extremely cold. With a heavy cast iron pan or a hammer, crush dry ice into a fine powder. Transfer crushed dry ice to a plastic bowl or Tupperware container and pop back in the freezer until you are ready for it. Pour your ice cream base into the bowl of a stand mixer fitted with the paddle attachment, and begin mixing on medium speed. Add dry ice one spoonful at a time. Allow foam and steam to dissipate, then add another spoonful.This takes around 5 minutes. NOTE: Adding too much too fast will lead to a big pile of bubbling ice cream all over your work surface. Nobody wants that. Go slow. Seriously. Store in the freezer until you’re ready to serve. Mix up the ice cream again and scoop it into a piping bag fitted with a large, round nozzle. Pipe into your cones and enjoy straight away. It is best eaten that day. I don’t recommend freezing it overnight as it is hard to scoop later. *best served within 2 hours of making, otherwise it will freeze rock solid. It may surprise you but mail order catalogs go back to the days of the American Revolution. During the late 1800s catalog shopping became a popular thing to do. Companies like Montgomery Ward, Sears Roebuck & Company, J.C. Penney's and others all produced mail order catalogs. The companies realized there was money to made by allowing customers to stay home and shop. Mail order catalogs were delivered to customers around the country. 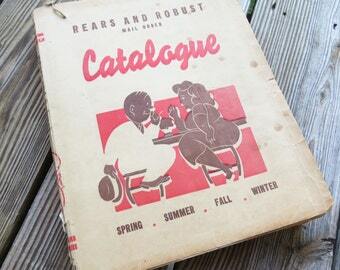 The catalogs contained items for sale ranging from clothing, makeup, furniture, electronics, appliances, cookware, tools, toys, gardening products, books and other home needs. Orders rang up million of dollars of merchandise and the products were shipped through mail as well. The one downfall to mail order catalogs has been the introduction to the digital world. Computers, tablets, cell phones and other sorts of modern day technologies all seemed to be able to put shopping in the hands of customers without need of paper catalogs. Thus the declination of paper mail order catalogs declined dramatically. It was in 1898 that President William McKinley annexed Hawaii into the United States. It was in this same year that the Spanish American War broke out. The united states found strategies using the naval base at Pearl Harbor. 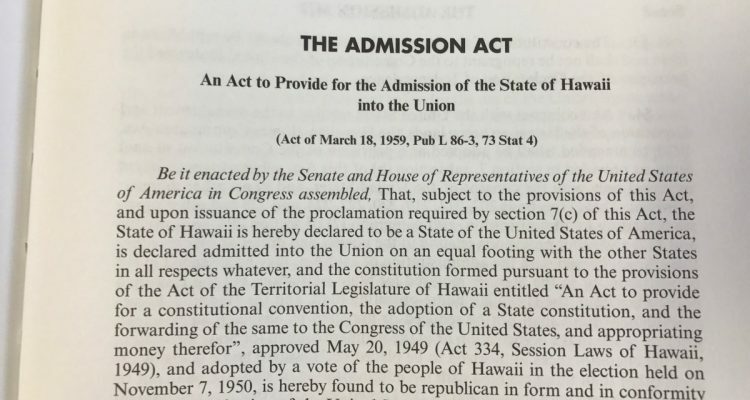 Congress was convinced to approve formal annexation of Hawaii. In 1900 Hawaii was made a territory with Dole as its first governor. In 1959 became the 50th state. 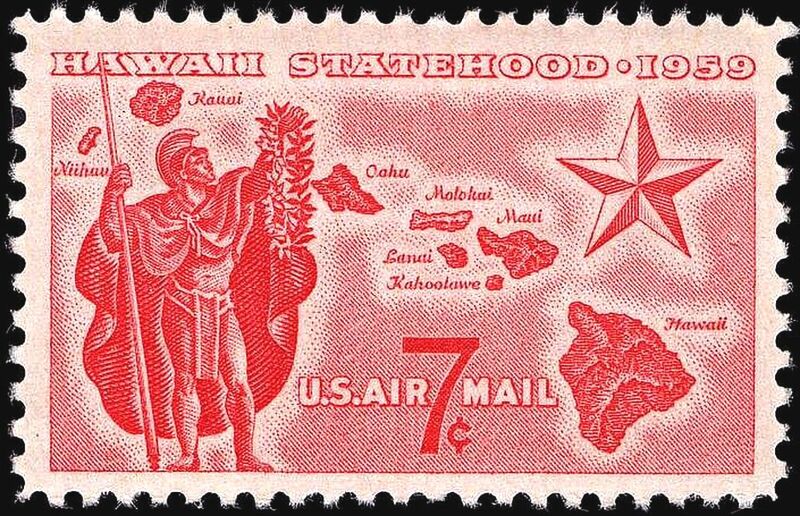 Hawaii officially became the fiftieth state on August 21, 1959. As one of the smallest states it is the only sate that is made up entirely of islands. The islands are the tops of volcanoes, some of which are still active. occasionally until meat is cooked through and beginning to brown about 15 minutes. to a simmer then reduce heat to low. 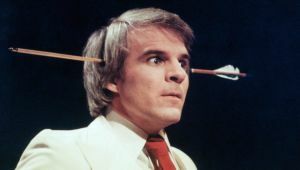 Stephen Glenn Martin better know as Steve Martin was born August 14th 1945. Martin is an American actor, comedian, writer, producer and musician. It was in the 1960s as one of the "Smothers Brothers Comedy Hour" that Steve rose to popularity. Martin toured in the 1970s acting out his offbeat comedy routines on national tours. Later, he would work as an actor, author, playwright, pianist and bajo player. 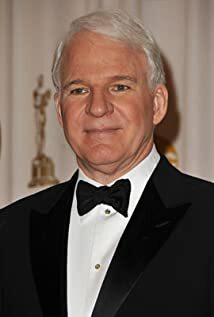 In Steve Martin's years of entertaining he earned an emmy, grammy and American comedy awards. Many may not know that Steve Martin played the banjo from an early age. This is perhaps why it was so easy to include banjo playing in his comedy routines. His banjoy playing is where we will see him as of late. Releasing a solo music album and touring playing bluegrass. Time is something that we can never get back but always want more of. 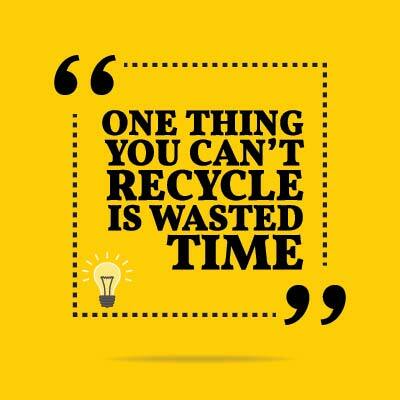 It is something that we often run out of and have even wasted before. But there are a few things we can do to make the most of ours and others time. Arrive early to appointments and meetings. I have learned the hard way that being early is often better. My husband and I have been married for 30 years and if it was me I would be late , he would be way early and together we are just a bit early or on time. 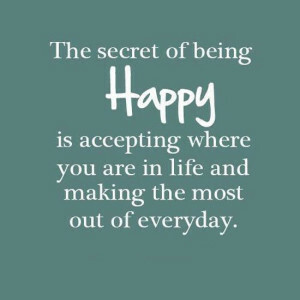 Yes, it is that simple. Being 10 to 15 minutes early allows you time for error. The meeting is scheduled to begin at the starting time so you need to be a bit early in order to do just that. Being early allows you to be more comfortable, have your items in order before your meeting or appointment. Being prepared and time goes hand in hand. If you are looking for an item during the meeting can make you look unprofessional but it also takes up time. Make sure that you have it all together before the meeting will help you look good and start the meeting on time. Perhaps a little note of items you need to bring with you will make it easier for you to keep on tract. The one modern item that has as many good points as bad is the cellphone. It is a major pet peeve of mine to have those I am meeting with to check their text messages, email, voicemail or playgames. It is a waste of time and should be done in the free time of an individual. Before going into the meeting silence your cell phone. Line a 8'' x 8'' pan with tin foil. In a medium saucepan melt the vanilla frosting over low heat until frosting is glossy. Add vanilla chips to saucepan and cook, while stirring, until chips are melted and blended with the frosting. Reserve 1/2 c. of mixture for later. Mix remaining fudge mixture in saucepan with the orange extract. Add yellow and orange food coloring and stir until completely combined. You will use about 5 drops of orange and 7 drops of yellow food coloring. Please adjust as this will depend on the brand and type of food coloring you use. Pour orange fudge into the bottom of the lined pan. Drop spoonfuls of white fudge you reserved on top of the orange fudge. Drag butter knife through fudge to swirl it. Refrigerate at least four hours until it set. If you are a peanut butter lover like the king Elvis Presley was then this burger will make you very happy. Divide the ground beef into 4 equally sized balls, then flatten into patties and set aside. Grill the bacon until crisp, then chop into smallish pieces and set aside. Heat a pan until very hot. Season the burger patties with salt and pepper and cook for 2 minutes each side, or to taste. While the burgers are cooking, make the peanut butter sauce by heating a tablespoon of oil in a pan and gently softening the ginger and garlic for a couple of minutes, stirring. Add the chipotle flakes for a further minute, then take the pan off the heat and add the peanut butter, along with a tablespoon of hot water (don’t use cold water). Mix well. When the burgers and sauce are ready, place a little iceberg lettuce on each bun, followed by some onion, a burger, then some of the peanut butter sauce. Top with crispy bacon pieces and the top half of the bun. Eat immediately. We have reached mid August?? Can anyone tell me exactly how that happened?? The summer has went rather fast and now it is time to get ready for school. Some have all ready started school, others will start school and others still have a bit of time before they start back to school. As in previous years you all most likely have your own back to school routine. So whether you have purchased the school supplies, ready to get those back to school hair cuts and picked out your new backpack and lunch bag?? 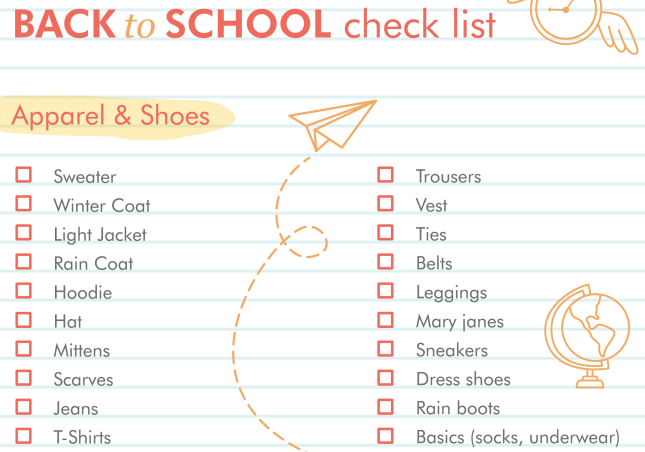 Perhaps you are going on a shopping trip to purchase treats, lunches and after school snacks that you will need when school starts or that new pair of shoes that every one will need. Did you get your fall clothes out to see what is still needed?? Plan a great back to school meal. 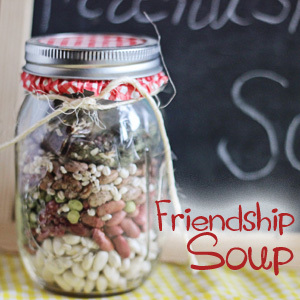 Make it at their favorite restaurant or make it at home using all their favorites. Put on a fashion show for some extra exciting fun. This way you can ensure all the new school clothes fit and look great and also help build excitement by hosting a fashion show the entire family can take part in. 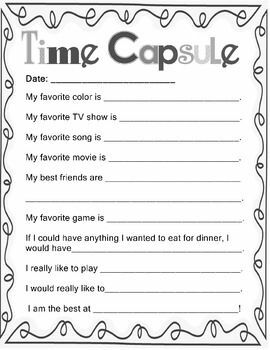 Create a back to school time capsule. You can open the new one the following back to school day or whenever you choose. Whatever you do to try to make the first day of school fun do just that remember to have fun. If you sit in the library and pay close enough attention you just may be able to spot them. You know, there is always that one person that sits and leafs through the books. You may also notice them in the classroom as they are often sitting front and center staring at the blackboard. These children are often visual learner. The child that learns easiest when the teacher draws out what they are teaching on the blackboard. Graphs and diagrams are easy prey for these visual learners as well. As long as these studeents can visually see what is being explained they will catch on to the concept. 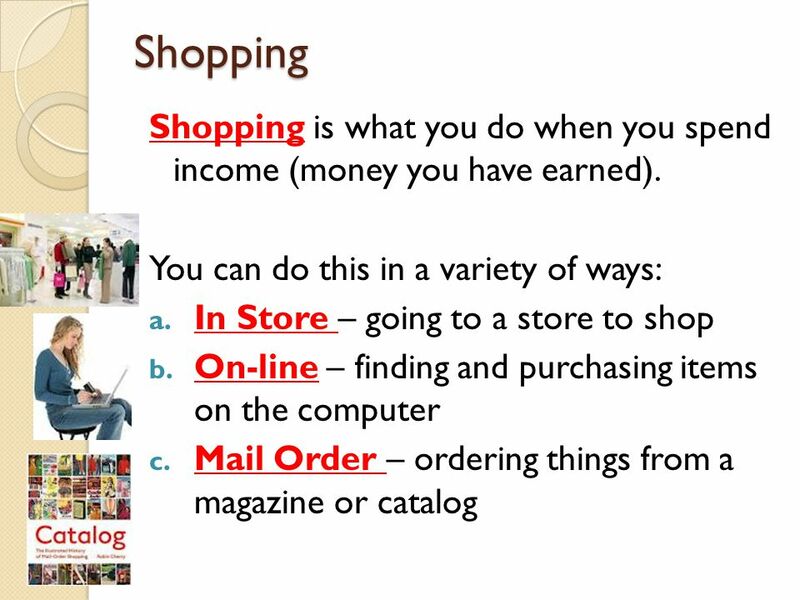 There are two main categories of visual learners. Picture learners and print learners are the two but many have a mixture. Picture learners think of image of United States map to answer your question. Print learners think in words and often quickly learn to read and easily memorize spelling words. 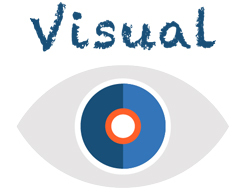 Visual Learners learn best when they visual presentation takes place. Visual cues help stimulate visual learners. They often do better on their own with simple, concise and minimal instructions for completing a task. Visual learners are also born leaders. Visual learners often do well when they start off with simple phonics based learning that is presented visually.